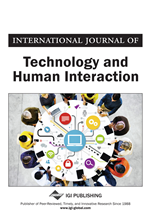 In this article we build upon existing research and commentary from a variety of disciplinary sources, including information systems, organisational and management studies, and the social sciences that focus upon the meaning, significance and impact of “events” in the information technology, organisational and social context. Our aim is to define how the examination of the event is an appropriate, viable and useful information systems methodology. The line of argument we pursue is that by focusing on the “event” the researcher is able to more clearly observe and capture the complexity, multiplicity and mundaneity of everyday lived experience. An inherent danger of existing traditional “event” focused studies and “virtual” ethnographic approaches is the micromanagement of the research process. Using the notion of “event” has the potential to reduce methodological dilemmas such as this without effacing context (Peterson, 1998, p. 19). Similarly, in this article we address the overemphasis upon managerialist, structured and time-fixated praxis that is currently symptomatic of information systems research. All of these concerns are pivotal points of critique found within event-oriented literature regarding organisations (Gergen & Thatchenkery, 2004; Peterson, 1998).